Our office has an extremely high rate of success in custody battles and we fight for you and your family! 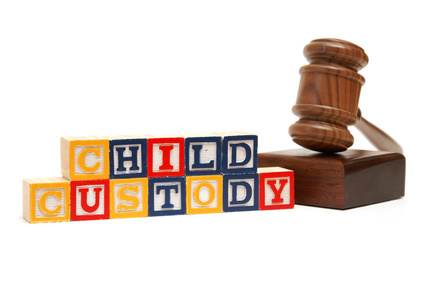 One of the biggest topics we get questions about here at the Law Office of Nicholas Baker is regarding custody of children. Obviously, this is one of the most heated topics in all of the law and parties often are willing to almost anything to fight for their children. Our office has an extremely high rate of success in custody battles and we fight for you and your family! Child custody issues arise in numerous circumstances, oftentimes when both parents are actually good mothers or fathers. However, not all parents are the best at raising children and in these instances, a parent must fight to protect their children. The Law Office of Nicholas Baker fights to protect your family! Child custody in Illinois is primarily governed by 750 ILCS 602, which states that the court determines who should have custody of the children based on the “best interest of the child.” This is intentionally written in an ambiguous manner so that the court has the opportunity to examine many different aspects of the children’s and the parties home lives to determine which home is more suited for the children’s overall well being. We’re Available in the Evenings and Weekends! (10) the terms of a parent’s military family‑care plan that a parent must complete before deployment if a parent is a member of the United States Armed Forces who is being deployed. Custody battles are not easy on anyone involved and it is most important to not let it affect the children or the relationship that either party has with the children. There are many different avenues to pursue when it comes to fighting for custody of your children and the Law Office of Nicholas Baker will pull no punches when it comes to fighting for you. We are the only divorce law firm in Chicago that employs on staff a private investigator—we will do all legally possible to make your case as strong as possible. Your children deserve to be with a parent that loves for them and nurtures them properly. Fill out the form on this page and get started right now. Or better yet, pick up the phone and give us a call, we’re available in the evenings and even on weekends to discuss your case. Don’t wait any longer—your children are depending on you!